arsonist in action early this morning. UPDATE: Photos of the three fires' aftermath are now up. He takes his time setting a fire in Boystown this morning, moving things around in the Roscoe Street alley until everything is arranged to his liking. Then, he bends down, puts a flame to a mattress, and walks away. 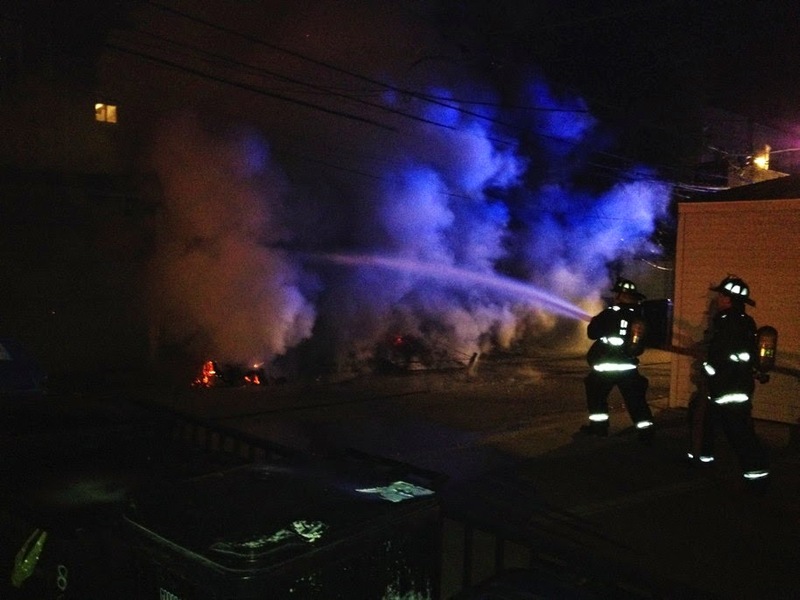 That series of events was caught on video, the first of at least three arson fires that swept the area overnight, gutting a coach house, burning out a truck, and heavily damaging the Roscoe Street garage in separate crimes. 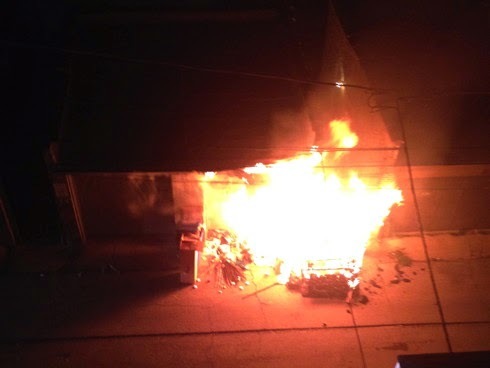 The first sign of trouble came at 4:10AM as several Boystown residents called fire and police units to the arsonist's mattress fire which had quickly spread to a nearby garage in the 800 block of Roscoe. Firemen strike the Roscoe Street blaze. Separately, a dumpster fire was reported at 12:37 Saturday morning in the alley behind the 700 block of Belmont. Flames grew large enough for some 911 callers to report that a second-story porch was on fire. Thankfully, that was not the case. 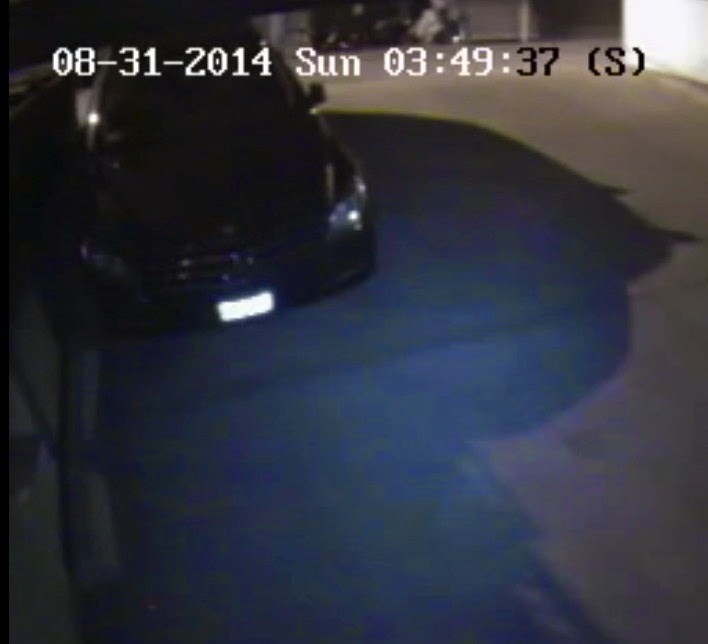 Early on June 10, an arsonist set several cars on fire near Wrigley Field. No arrest was made in connection with those incidents.